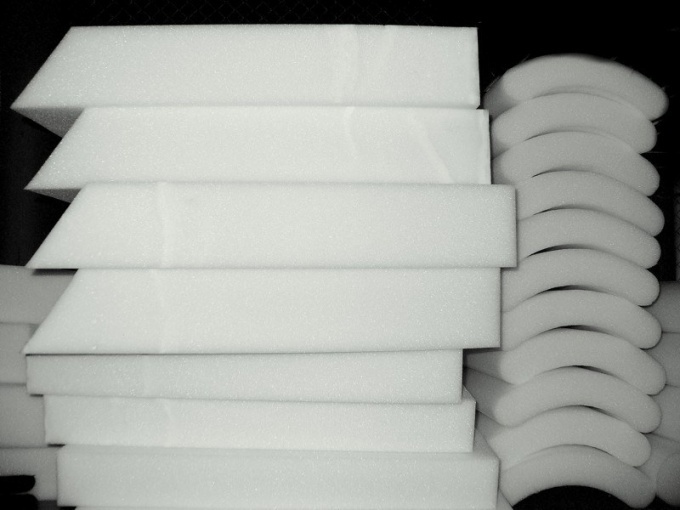 Polyurethane foam (PUF) in other words, the foamis soft foam, which is nine-tenths of the air. As you know, the foam used as a packaging material performs the function of cushioning on the headset is a filler for certain types of furniture, etc. the Foam in the home can be manufactured by casting. How to make the nose of Baba Yaga? oil - based or silicone lubricant. Prepare a form for pouring a polyurethane foam. Depending on the desired shape of the foamand select the corresponding workpiece. In connection with high adhesion (adhesion with other components) , the foamand the surface should be treated, which will be in contact with PU foam special oil or silicone grease. In a special unit for filling, mix two main liquid components: polyol and isocyanat. The weight of the unit is approximately 45 kg and dimensions approx – 1200?350?250 mm. the Flow of foam in the prepared form by means of a special spray gun. Stick to the main features of mixing the components of polyurethane foam. An important proportion, the temperature and the mixing quality of the components. Use the included installer to fill a special timer, which saves the loss of raw materials and helps to control pouring time. After the filing of the polyurethane foam in the form, close it. In the form are filled with foamom the entire form. Also, the polyurethane can be cured with the help of pressure. When you use the shape to close it the cover should slowly, constantly watching that the mixture is uniformly compacted and will not escape from the mold due to the intensity of pressing down the lid. After a few minutes, open the form and the foam is ready. The main components of polyurethane foam are very dangerous for human health and when in contact with mucous membranes can cause toxic burns. Observe safety precautions when working with ingredients. The finished foam is absolutely not dangerous to human health. Special attention should be paid to the quality of mixing of the main components of PPU, because it affects the level of homogeneity of the final product, no air voids and seals.